Las Vegas’s newest casino, the off-Strip Lucky Dragon Hotel and Casino, has turned out to be not so lucky after all. The Asian themed hotel and casino has finally given up the ghost, closing for good after less than two years in operation. The ill-fated Lucky Dragon was designed as a boutique Chinese themed resort with the intention of attracting the large Chinese diaspora spread across the United States, as well as to draw high-rollers from mainland China. 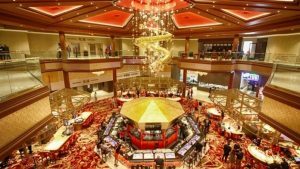 With 203 rooms in its 9-floor tower, 27,500 square feet of casino space and Asian inspired restaurants, the casino had hoped to tap the lucrative Chinese tourism market with its highly specialized offerings. The Lucky Dragon, which opened its doors in November 2016, was the first major casino development to open in Las Vegas since the recession ignited by the 2007-2008 financial crisis devastated the Las Vegas real estate market. Unfortunately, the best laid plans of both mice, men and dragons tend to go awry. Developed off-Strip at 300 W. Sahara Ave, baked in the desert sun, perhaps being located in the Sahara had something to do with the dwindling visitor numbers that forced the Lucky Dragon to close its casino and restaurants back in January after just over a year in operation. The move, which cost hundreds of jobs, was cited as a “process of reorganization” by management at the time, who also stated that the property should resume full operations within six months. At risk were some $60 million worth of loans that had been doled out by enthusiastic Chinese investors. The investors not only hoped for a return on their investment but also to pick up U.S. green cards as part of the EB-5 visa program, which offers legal residence to foreign nationals and their entire families in exchange for an investment in the U.S. of $500,000 or more. Some 179 Chinese nationals had invested a total of $89.5 million in $500,000 tranches in the project in hopes of winning green cards for themselves and their families. A month later, in February 2018, the Lucky Dragon filed for Chapter 11 bankruptcy protection, just a week shy of the date scheduled for the property to go on the auction block in foreclosure proceedings. 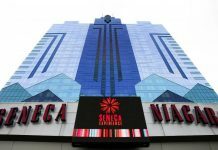 The casino had been struggling to make payments to contractors as Las Vegas developer Andrew Fonfa, in partnership with former Las Vegas Sands Corporation president Bill Weidner, saw his $90 million loan go into default, triggering both the foreclosure proceedings and the need to declare bankruptcy in hopes of changing the Dragon’s luck. With revenues evaporating as fast as a pool of rainwater in the Las Vegas sun, reorganization proved utterly futile. According to court papers, the Dragon’s main creditor, Snow Covered Capital, an investment firm linked to Enrique Landa, an obscure San Francisco developer, showed the not so Lucky Dragon running up losses of $200,000 per month throughout the bankruptcy process. The property is now fully closed, surrounded by chain link fencing and set for foreclosure auction on 30 October. 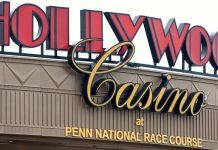 There is “no dispute” the resort’s operations “have been a dismal failure,” the creditor said, as reported by the Las Vegas Review-Journal. 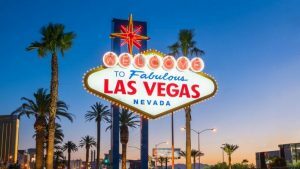 While the property is not the first and likely not the last to go bust in Vegas, it may well be the fastest failure on record. According to the director of the University of Las Vegas’s Center for Gaming Research, David Schwartz, while the Royal Nevada and Moulin Rouge both closed within several months of opening back in 1955, he could not recall any other property since then with such a short shelf life. The 2007-2008 financial crisis and resulting global economic crash saw the Tropicana file for bankruptcy protection in 2008. The Station Casino followed suit in 2009, Hooters Hotel hit the skids in 2011, Caesars Entertainment Corp. tanked in 2015 and the Weston fell to foreclosure in 2016. 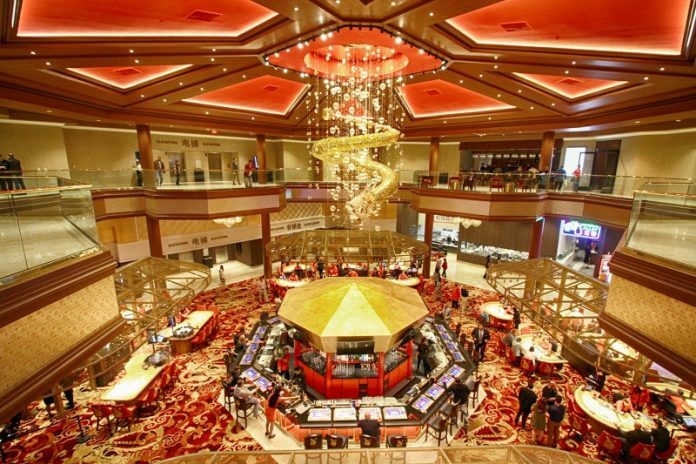 What happens next with the Lucky Dragon is anybody’s guess. Its less than prime location off the dreary north Strip means that the property’s foot traffic is tantamount to the occasional tumble weed or lost coyote, making purchase for renovation a far from attractive proposition even for the most salivatingly optimistic of deep pocketed developers, despite the fact that the Dragon is likely to be sold at a deep discount. The poor Dragon’s online listing notes that the property cost $165 million to put up while the asking price at auction starts at a sullen $56 million. While that may seem a stellar deal to some, if said investor is unable to stage a remarkable turn around that pulls the Lucky Dragon into profit, the Dragon’s lair looks set to remain more of a money pit than money maker.